Why do Holiday Traditions Matter for that matter? You have to understand the definition of tradition. You must understand how they affect you. You must decide if they still impact you good or bad. You decide to continue them ~ and commit to that. A Holiday Tradition is a belief, a behavior or an event, that is passed down within a group that has symbolic or special significance. Of course, Holidays are a time of many traditions. They can persist as sacred and specific time-honored ceremonies or they can evolve as generation after generation adds or subtracts from the past event. So, often we continue them because we are supposed to or we believe we should or we continue them out of guilt. What is the real reason why you are still participating in this? By checking in with yourself, by asking your mind “Why” and by checking in with your heart….you will be able to see ~ like an objective viewer ~ why you still continue the tradition. How does a Holiday Tradition affect you? If you check in with your heart, you will uncover many truths about the traditions in your life. My favorite check in is “But does it FEEL GOOD to be doing it?” If yes, then I wholeheartedly go and do it and in-joy it completely. If no, it’s time to re-evaluate the tradition. Is it still something you want to do in it’s entirety? Is it something you want to shift somewhat to meet your new desires? Sounds easy, right? Then why is it so hard to break a tradition? Doing things the way they have always been done gets you the same results. Many traditions give us those results we desire. Many do not. It’s those we must release to be true to ourselves. 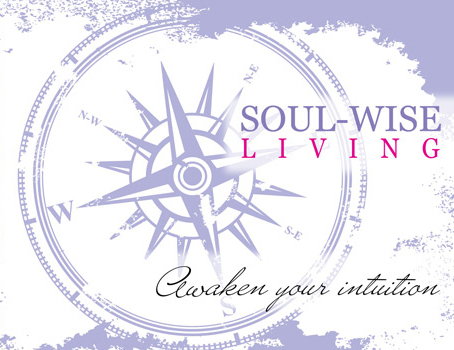 To do this is to live by your inner wisdom ~ to live soul wise. Creating Your Own Holiday Tradition. Traditions don’t just happen. They are created over-time because of the joy we receive from them. There are solemn traditions and inspiring traditions. There are ones that light up our smiles and ones that light up our hearts. Creating them is rather a simple act. What do you want to have over and over during the holidays that instills YOUR light, YOUR Truth into the season? Create from there! Is it putting up decorations at a certain time, with certain people? Is it giving to a certain organization? Is it doing something special each year with someone? Do that ~ Create that as a Holiday Tradition! So tell me what tradition might you release, what will you keep and is there a new one you want to create? If you liked this post, please share it with your friends by clicking the links below! And, remember to share your thoughts below too, I’d love to hear from you! Thank you Laura for encouraging us to bring mindfulness to our traditions and assess if the tradition is still honoring our past as well as our present through our insight and inner wisdom. When we live intentionally, the experience of the traditions we choose to continue is so enriched and we feel part of living history! I have say that we’re very non-traditional in our family. As a blended family, with adult children who are now parents in blended families it’s very hard to do the same exact stuff every holiday season. We’ve learned to go with the flow and just love the novelty and newness of each moment. It also takes some pressure off – for example, I usually only manage to get my “big, fancy tree” up every other year. And it’s all okay! Does it FEEL good? That will be my question this year as I create brand new traditions for Christmas and New Year’s. So many of our traditions involve family or friends around the holidays. At least, mine do. But this will be my first holiday season spent alone, which opens the door to new possibilities and even new traditions. One thing is for certain. I’m getting the cats Christmas stockings! I like Nancy’s questions ‘Does it feel good?’ my question is ‘Does it serve and honor where I am now?’ No tree this year, our focus is less clutter. Oh I like that question Cindy! Great post and reminds me that I’ve been lacking traditions for the Christmas holiday for awhile and I can feel it. Time to reflect and think about why. I went through a period like that Michelle and then I brought back the one’s that served me and I love it so much more! We sing the 12 days of Christmas as we pass each “day” in lights… it’s such fun. Good for you, Kelly, to recognize what would help you!!! The break in tradition may help create stories for you in the upcoming year that will help honor your Tree Getting time with the family! Thanks for sharing the light show with us!!! We changed Christmas traditions about 6 years ago and it was a BIG deal for some family members. We decided we weren’t leaving our house on Christmas Day! We already spend Christmas Eve with family, but we used to get together again for Christmas Day lunch. Instead, we decided Christmas Day will be just for our family and we stay in our PJs all day. Best tradition ever!! !